Dmitry Medvedev has stated that he wants to see the creation of an independent, impartial and fair judicial system. It is a source of regret that, despite 20 years of reform, we are still some way from this goal. Surveys and sociological research consistently show that the courts have become neither a source of justice nor a defence of legal rights for the majority of Russia’s citizens. The politically motivated cases of the past decade are but evidence of this decay. Although legislation is in place that supposedly guarantees the independence of the courts and the judiciary, President Medvedev has himself acknowledged that Russia has neither. By his own admission, Russia still needs to rid itself of decisions based on “pressure, telephone calls and ... outright bribery”. He recognises that Russia still suffers from “legal nihilism”, pressure on judges, and the corruption, dependence and injustice that come out of such disregard for the law — “practices and attitudes that stand in the way of building a new, powerful and affluent Russia”. Anyone who wants to see Russia thrive could not fail to agree with Medvedev’s words. The problem is how these good intentions can be transformed into reality. In 2004, while still a judge of the Moscow City Court, I attempted to inform the public and then-President Putin about the pressures judges were facing. The previous year I personally witnessed open violation of judicial independence while examining the case of Pavel Zaitsev, an investigator at the Ministry of Internal Affairs. Zaitsev was facing criminal charges of abuse of office following his investigation into alleged furniture smuggling at the “Grand” and “Three Whales” shopping centres in outer Moscow. The state prosecutor who instigated the case, Dmitry Shokhin, behaved very strangely in court. From the outset, he tried everything to ensure his evidence was examined in a way that favoured the prosecution. When, however, he realised that the court would only examine objectively and impartially, he began to disrupt proceedings. In violation of the law, for example, he refused to provide evidence. He asked for the hearing to be deferred on the pretext that he was participating in “more important” cases. He finally also demanded that I, the lay assessors and the entire composition of the court resign and step down from the case (and he did so in a way that was gratuitously offensive). 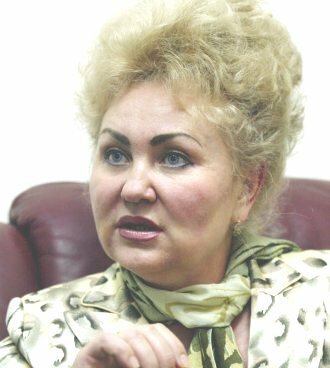 The most outrageous influence on the course of the trial was not, however, the behaviour of the prosecutor, but that of the chairwoman of the Moscow City Court, Olga Yegorova. Summoning me to her office, she demanded — in quite abusive terms — that I tell her “who was asking the questions” and why I, as judge, had taken certain decisions and not others. In my presence, she phoned the deputy Prosecutor General. From her words I soon understood that she and the deputy Prosecutor General were working as a tandem. This explained the strange behaviour of Prosecutor Shokhin. Yegorova went on to demand that I falsify case materials by disposing of written statements by lay assessors, who had decided to withdraw from the case. These statements detailed the “disgraceful” conduct of the prosecutor, and interpreted it as having the express aim of pressurising the court into reaching a decision that favoured the prosecution. I was also instructed not to take any decision in response to these statements; to eliminate any discussion of the prosecutor’s behaviour from the court record; and to make sure that the lay assessors no longer attended the trial. I declined to carry out the instructions. As a result, and in direct violation of the law, Yegorova took the case away from me and gave it to another judge. In my 18 years working in the courts it was the first time I had come across such open and cynical pressure. Pressure that can only be described as making a mockery of the law. I went public because it was impossible to discuss these issues freely within the profession. For me, it was a moment when public interest outweighed considerations of professional solidarity. Because I decided to call a spade a spade, however, I was dismissed as a judge of the Moscow City Court before I had completed my term of office. My claims were dismissed as lies — first by the Moscow Judicial Council, then by the Moscow Supreme Qualification Collegium of Judges, the Moscow City Court and the Federal Supreme Court. I had, in their words, “deliberately disparaged the authority of the judiciary and disseminated fabricated and offensive allegations about Russian judges”. None of the claims were investigated. Another important report, The Judicial System in Russia: Current State and Problems, was published in October 2009 by the Centre for Political Technologies. This report was the result of an extensive sociological investigation and brought together specialists from all over Russia. It was commissioned by the Institute for Contemporary Development, whose board of trustees is headed by President Dmitry Medvedev. The report found that, contrary to popular belief, the Russian judicial system’s main problem is not corruption, which “does not exceed the levels that affect society as a whole”. Instead, its prime defect is the extent to which the courts are dependent on government and state officials. It found that Russian courts routinely defend the interests of such officials and not the rights of those who should have the law on their side. The investigation identified an entire arsenal of weapons for reinforcing judicial dependence from within the system. The most important factor, it notes, is judges’ fear and dependence upon chairmen of the court. In Russia, court chairmen have very powerful weapons at their disposal. They can decide how to treat a plea, which judge to assign to a case, and whether, for example, to transfer cases to more loyal judges. They hand out bonuses, deal with housing issues and decide how rapidly someone’s career may advance. They can also initiate disciplinary proceedings against a judge, up to and including the loss of his or her right to preside in court. The problem is that chairmen and chairwomen are themselves appointed by the President, which in turn renders them dependent on the authorities. Moreover, any judicial ruling that runs counter to the interests of high-ranking officials is very likely to be overturned by a court of higher instance, and sent back for reconsideration. The more often this occurs, the greater the legal grounds for removing a judge from office. Judges internalise these unspoken rules and reach conclusions about which decisions they should and should not make. As the report says, the most sought-after qualities among Russian judges are that they be amenable, adaptable and quick to take a hint. There is no doubt that that a great deal of legislative energy is currently being expended on reforming the judicial system. President Medvedev has himself recognised that attempts to improve the investment climate depend on such reform. He understands the need to keep appeals to international courts at an absolute minimum. Indeed, his efforts to secure ratification of Protocol 14 of the European Convention on Human Rights offers great hope that the authorities do want to reform the country’s judicial system. At the same time, many doubt the Kremlin’s capacity to implement reform given its record. Take, for example, a recent amendment to the Law “On the Constitutional Court of Russia”, which deprived the Court’s members of the right to select their own chairman and deputy chairmen. Many interpreted this an attempt to consolidate Kremlin control over the judicial system. Remember, too, that at no point has the judicial bureaucracy acknowledged the existence of any problems, other than those relating to the material needs of the courts. Unfortunately, twenty years of reform have not brought about any significant renewal of personnel within the judicial bureaucracy. Court chairmen, including the Chairman of the Supreme Court, remain people of unreconstructed outlook, never fully accepting of democratic values. Recent interviews with Judges Vladimir Yaroslavtsev and Anatoly Kononov — both members of the Constitutional Court and well informed thanks to their professional and life experience — are testimony to the situation. Both criticise the lack of independent judges and dependence of the judicial system (not only on the country’s leading officials, but also on the law-enforcement, security, intelligence and defence agencies). Yaroslavtsev’s comments are particularly enlightening, given that he was a member of the Presidium of the Russian Judiciary Council. Evidently, he feels that even a body as distinguished as this has limited influence. Many serving judges do not want to tolerate the defects that prevent Russian courts from becoming truly independent forums, respected nationally and internationally. However, they keep silent because they can see what happens to those judges bold and courageous enough to speak out. Having failed to find truth and justice in Russia’s courts, I, like many of my fellow citizens, was forced to appeal to the European Court of Human Rights. Their eventual ruling, issued in February 2009, established that I did have grounds for criticising the work of the judicial system and, in particular, the pressure exerted on Russia’s courts. The ECHR ruling established that the chairwoman of the Moscow City Court had interfered in a fair and just hearing of a criminal case; also that I was prevented from taking part in a judicial hearing in my professional capacity. The arguments and facts I put forward to the courts and professional bodies within Russia — which were ignored — found full confirmation in the ruling. The text of the ruling noted that the pressure exerted on Russian judges was a problem “demanding serious attention in order to ensure the independence of the judicial system and preserve public trust”. The Court also established that, by prematurely removing my right to practice as a judge at the Moscow City Court and depriving me of the First Qualification Class [awarded in 2002], my right to free expression had been violated. The European Court’s insistence afforded me the chance to read the findings of an investigation into Chairwoman Yegorova’s behaviour, drawn up by Oleg Sviridenko of the Supreme Qualifying Collegium of Russian Judges. This investigation had followed statements by myself and the lay assessors that outlined unlawful interference in the activities of judicial hearing. My previous request to familiarize myself with its contents was turned down. What was interesting was that even this investigation acknowledged in writing that Yegorova had removed the case from me and given it to another in 2004, i.e. before I was prematurely stripped of my status as a judge. Yegorova supported this decision with various incoherent, unsubstantiated and clearly fabricated reasons that had no foundation in law. The European Court took the view that “the mere hint that such [untoward] grounds could be the reason for transferring a case under examination by one judge to another is sufficient to confirm the accusations voiced by the plaintiff”. Sviridenko, who now heads the Moscow Arbitration Court, for some reason came to the conclusion that Yegorova had acted in this way because I had “gone on vacation”; and that “therefore [she did] not exceed the powers of the court chairman nor act against the law”. In response to this, the ECHR ruling noted: “The Supreme Qualifying Collegium failed to pay sufficient attention to this circumstance and did not provide reliable, factual grounds for its arguments. Moreover, this omission was not made good by any of the subsequent courts”. Why did neither the chairman of the Supreme Qualifying Collegium nor the chairman of the Supreme Court pay any attention to such serious discrepancies? Could neither of these chairmen appreciate that such an investigation not only undermined the authority of the judicial system in Russia — and of their respective professional bodies — but also placed Russian judges in a state of yet greater and undefended dependence on the court chairman? Of course, their actions are but a vivid illustration of the state of the Russian judiciary. On 11 December 2009, I applied to the Moscow City Court for a re-examination of the decision that removed me from the judiciary. I cited the European Court’s ruling that this decision constituted a violation of my right to free expression. The application was, however, turned down seven days later, thereby ignoring the terms of international agreements. The public response given by chairwoman Yegorova was particularly astounding: “this struggle with the system has much akin to someone tilting at windmills”. While my experience taught me how easily the law is disregarded within the judicial profession, it did not prepare me for the possibility that the ruling of an international court would be so brazenly ignored. It is clear that what is required today are real deeds and not just words. The success with which judicial reform can be implemented depends upon real actions taken by the authorities to strengthen the independence of judges and the judiciary. Olga Kudeshkina’s talk was originally delivered at a round table event organised by the EU-Russia Centre and All Party Parliamentary Russia Group in conjunction with the Foreign Policy Centre.